Inspired from Cuban culture with vibrant colours. Hand crafted from beautiful Birdseye Maple. 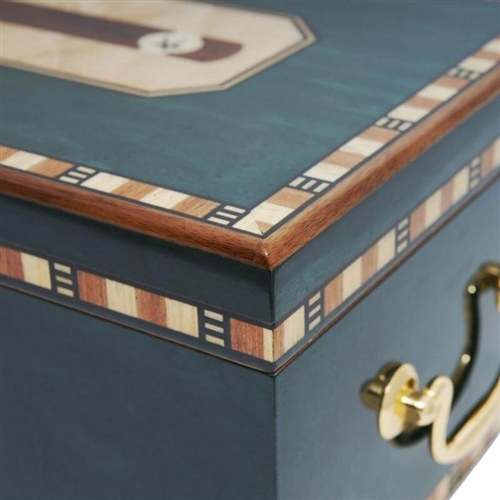 Hand dyed blue with natural Canadian Maple inlay on the top of the lid. Walnut inlay Cigar with their very own Cigar Star logo as the cigar band. 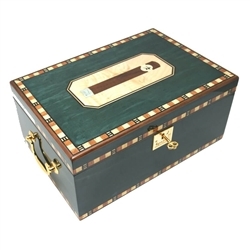 They have also incorporated an amazing collage of natural maple and walnut inlays that surround the top lid, front sides of this outstanding cigar humidor. 100% Hand crafted from Birdseye Maple, Canadian Maple and Walnut. 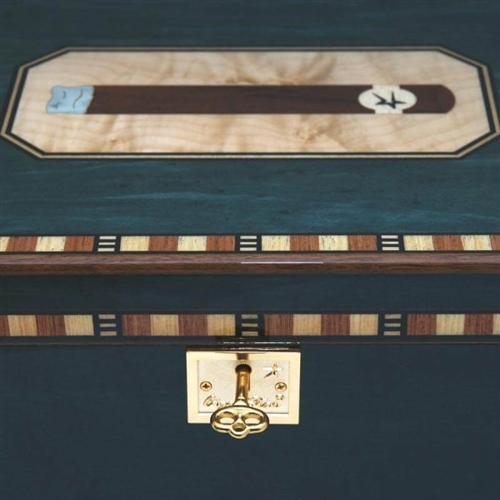 A collage of natural maple and walnut inlays surrounding the lid and bottom of the bottom of the humidor. Brass plated hinges and hardware. 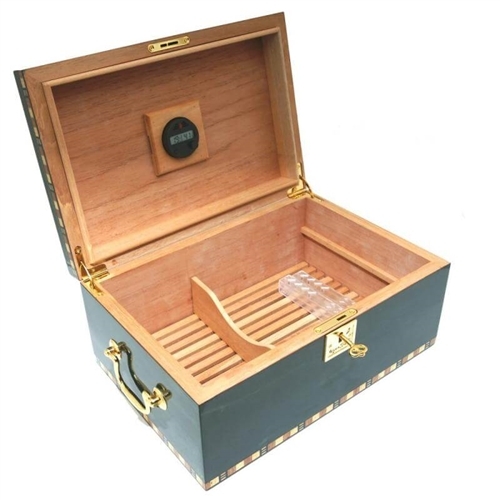 Cigar Star wood inlay cigar on top of the lid. Handles on side for easy moving. 2 brass keys & lock. 1 Spanish cedar air flow grate on the bottom. 1 large removable Spanish cedar tray. 2 easy recharge transparent crystal humidifier system. 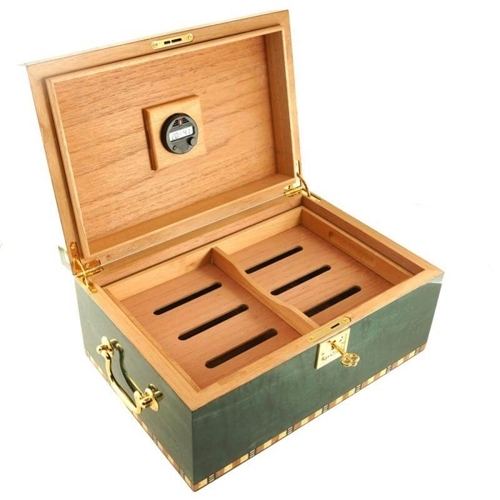 1 large easy-read digital hygrometer placed inside the lid of the humidor. Felt on outside base for scratch resistance.